"he tells a good story" There is something special about reading the Sherlock Holmes Society of London's monthly journal when you know there is a review of one of your books in there. The Case of The Russian Chessboard appears in this month's edition. The book is proving very popular in the USA in particular and is unusual in length in that it sits between the traditional Holmes short fiction and novel length. 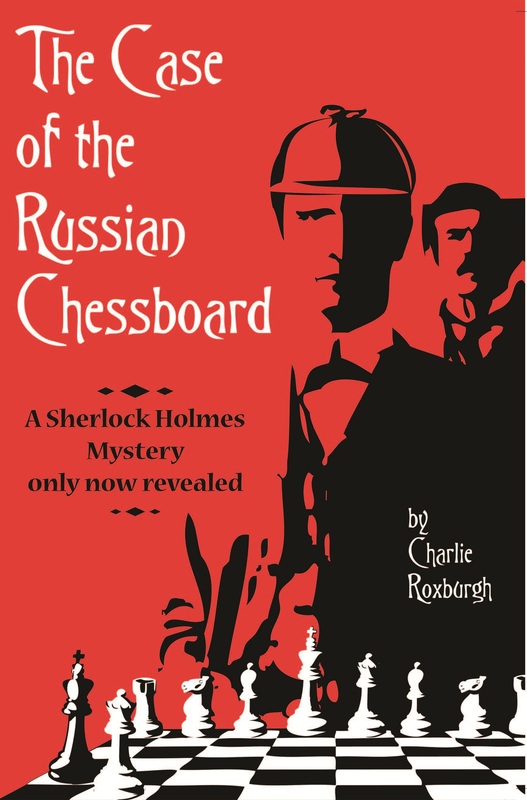 "The Case of the Russian Chessboard by Charlie Roxburgh packs quite a lot into its 110 pages. Not for the first time, Holmes and Watson are caught up in international politics – the ‘chessboard’ is a metaphor for the deadly tussle between Russian revolutionaries and the Tsarist secret police, and the historical background is accurate. (The anarchist community that Holmes visits was only ten miles from my house.) Mr Roxburgh’s writing is occasionally clumsy, and he hasn’t, I think, quite mastered Watson’s style, but he tells a good story, and his subject – terrorism and the control of people’s minds – remains sadly topical." The Case of the Russian Chessboard is now out in paperback on Amazon USA, Amazon UK, and through all good bookstores. The book is also available on Amazon Kindle and all other ebook formats.